Walk around the cosmopolitan streets of a modern Polish city and the communist era is not immediately evident. 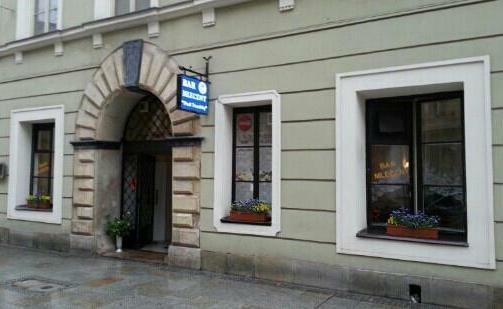 Until you step into a Polish milk bar (bar mleczny). 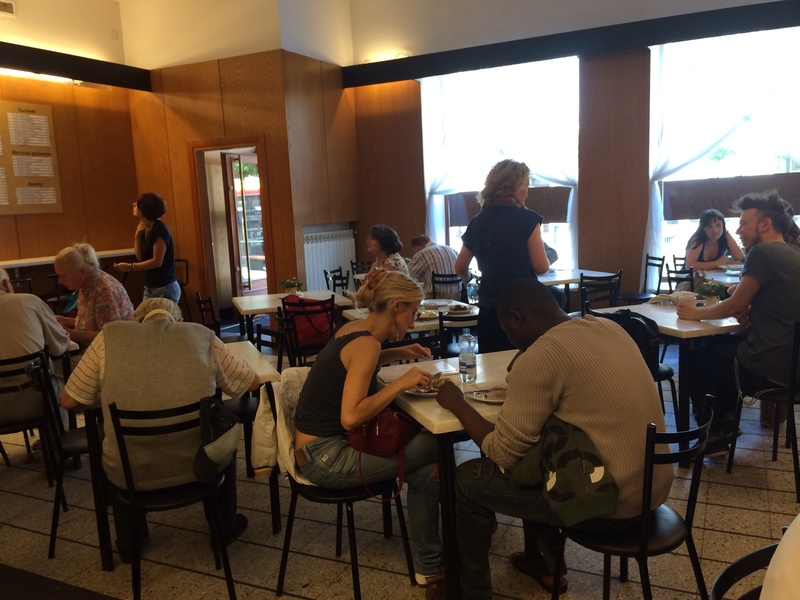 Offering hearty meals to the masses, these cheap cafeterias thrived during the communist era and are still popular with students, pensioners and curious travellers. 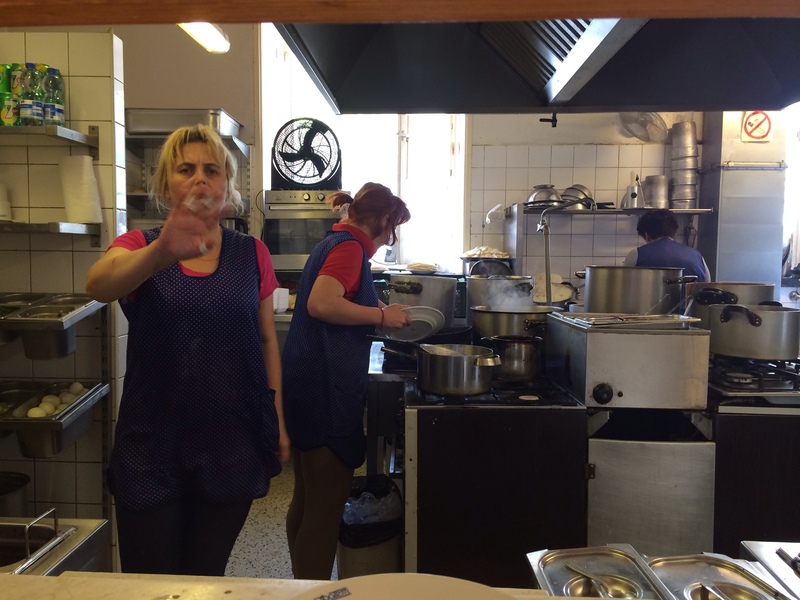 And apparantely the staff liked to yell at customers (soup nazi style). 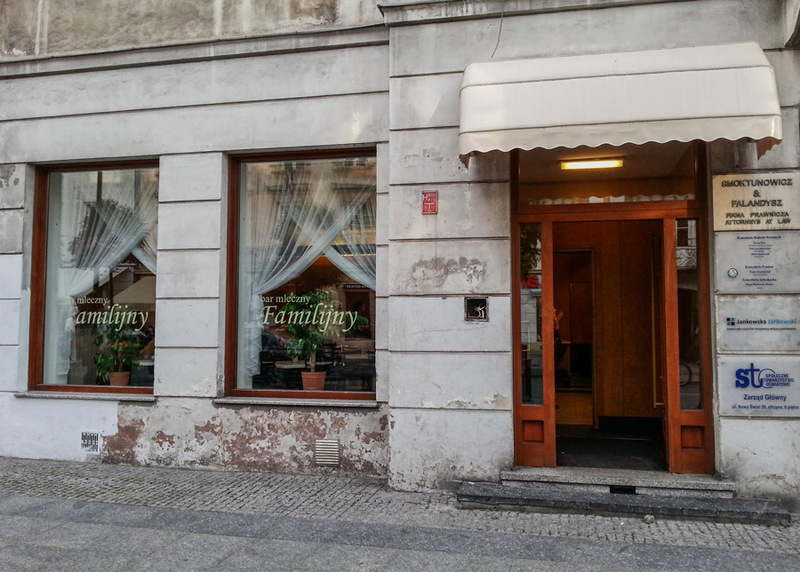 My equally curious friend Maz and I walked into Warsaw’s best known milk bar, Familijny, with empty bellies and a sense of excitement. It was a no frills affair, from the formica tables to the absence of any colour. Minimalist in the way only ex soviet bloc countries can be. We looked at the menu on the wall. 100% Polish. I can generally navigate a foreign menu, taking cues from the layout and the few words I know. 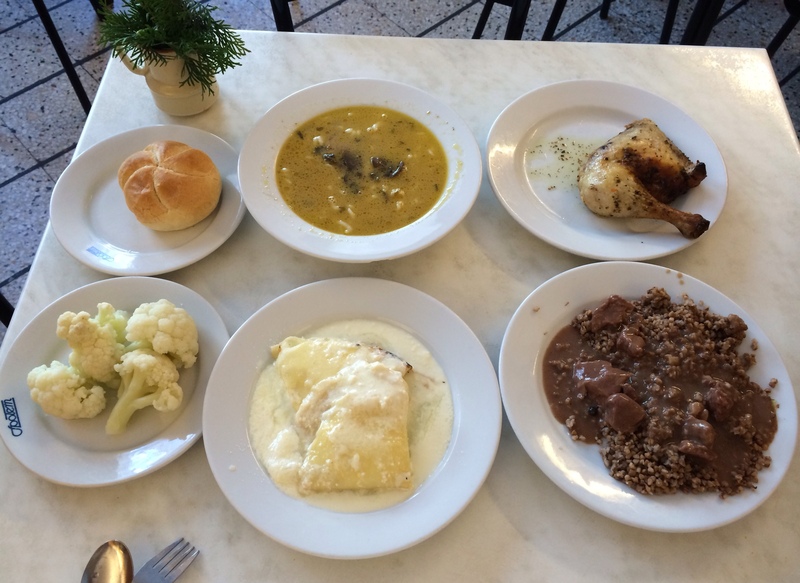 We took a stab that zupa was soup and gulasz was goulash. After that we were stumped. Not the most aesthetically pleasing combination but most dishes tasted just fine. The pancakes were the stand out and absolutely delicious. We had a few issues with the ‘pick up’ system as we didn’t know what we were actually picking up. So I did get yelled at for accidentally picking up another person’s meal. And then got yelled at for taking a photo. The entire meal came to a total of AUD$10 or about £5. I’m not sure you can even get two happy meals for that price. By the time we got to Krakow, our Polish vocabulary had increased by a few words so we gave the milk bar another shot at Pod Temidą. 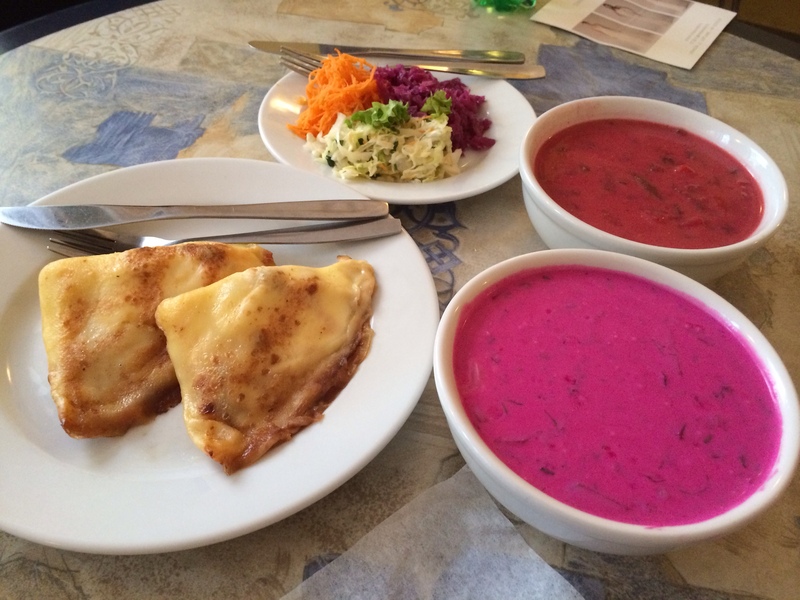 This time we angled for a more well rounded and colourful offering including borscht (beetroot soup), vegetable soup, salad and more nalesniki. Definitely a winning combo in the taste and colour stakes. 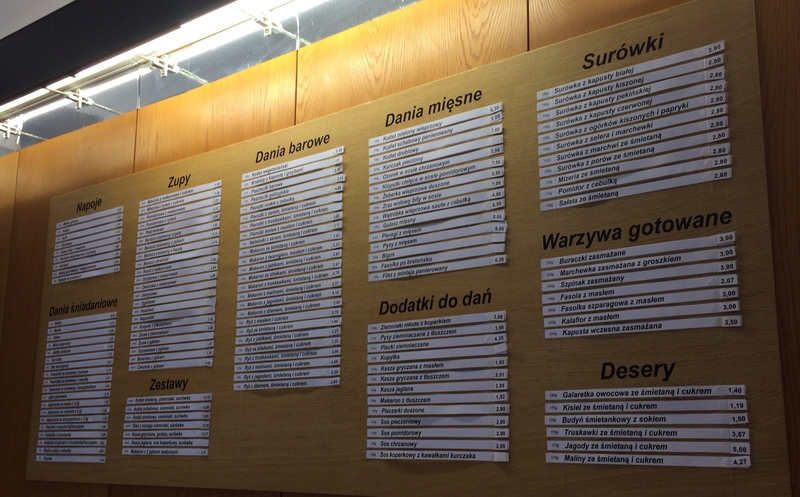 Don’t miss a trip to a bar mleczny when you’re in Poland but my advice would be to take a Polish dictionary or be willing to get creative with your ordering!